The University of British Columbia has given so much to the real estate community in the Vancouver area. Their presence has added a huge amount of intellect, culture and youthful excitement to Vancouver’s western side — all of which help sustain the growth of nearby UBC real estate. In an effort to give back to this wonderful institution, the Real Estate Foundation of British Columbia (REFBC) has donated a massive $1 million grant to the CSFS facilities located at UBC farm. This grant will help CSFS expand its initiatives in sustainable agriculture, crop experimentation and community-based education. Together with other donors, the CSFS can also begin creating a proposed new eco-friendly facility. Residents who buy homes in the UBC area can take pride in knowing that their home ownership can help contribute to amazing programs that promote a sustainable future and increase awareness for food supply safety. 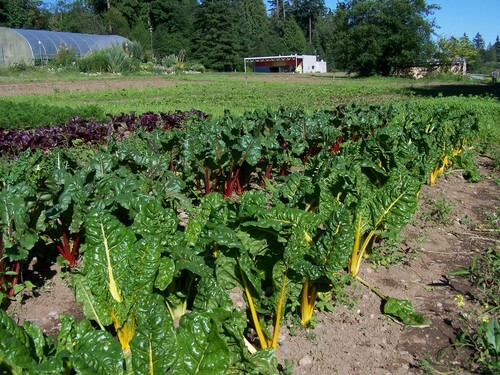 Located on the south side of the UBC campus in Vancouver, the UBC Farm engages in vigorous efforts to train our next generation of sustainable farmers. Their Farm Practicum in Sustainable Agriculture trains students every year for eight months with small-scale farming methods and ways to begin a productive farm-to-table business. The number of students enrolled in the program can double from 12 to 24 thanks to the REFBC’s generous grant. UBC’s practicum has inspired many students to take up farming as a professional interest. “This program made me realize that farming is a viable career choice, and I can actually do this,” says UBC conservation student Dave Semmelink. After completing the practicum, Semmelink was able to make real estate business connections that allowed him to lease 6 acres in Comox Valley. Semmelink already has his sustainable agribusiness running, called Lentelus Organics. With the REFBC’s donation to CSFS, UBC intends to further agricultural understanding in a way that “transforms local and global food systems, from sustaining honeybee populations to promoting the next generation of farmers’ access to land.” The contribution is part of UBC’s “Start an Evolution” campaign to raise funds with alumni and local philanthropic organizations. The proposed new facility will add research labs, kitchens, classrooms, community working spaces, added land for crop preservation efforts and meeting spaces for local groups and students to engage in hands-on learning. These objectives fulfill the REFBC’s goal of advancing land use in British Columbia. The group obtains funds from interest garnered from real estate investment trusts. Almost every person who purchases a home or leases property in the Vancouver area contributes in some small way to this funding project. Buying a beautiful home in the UBC area allows you to live in one of the most forward-thinking cities in the globe and also be a part of this amazing effort. Look at our UBC area home listings to join in.